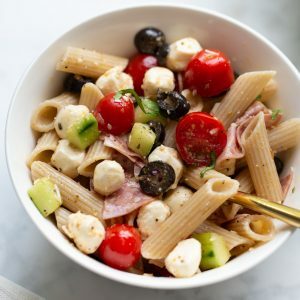 5-Minute Italian Tuna Salad! An easy, healthy, protein-packed lunch you can make in minutes! Two weeks ago we moved across the country from Utah to North Carolina! It’s been a crazy 2 weeks getting unpacked here, but we are finally (mostly) out of boxes and settling into summer. It is hot in Utah in the summer, but I forgot about how humid the east coast gets on top of the heat. I’m also 28 weeks pregnant so we have been going to the pool everyday to cool off! With the hot summer I’ve definitely been craving lighter, no-cook meals. In addition to having a big bowl of cut-up watermelon in our fridge at all times, we’ve been on a salad kick. 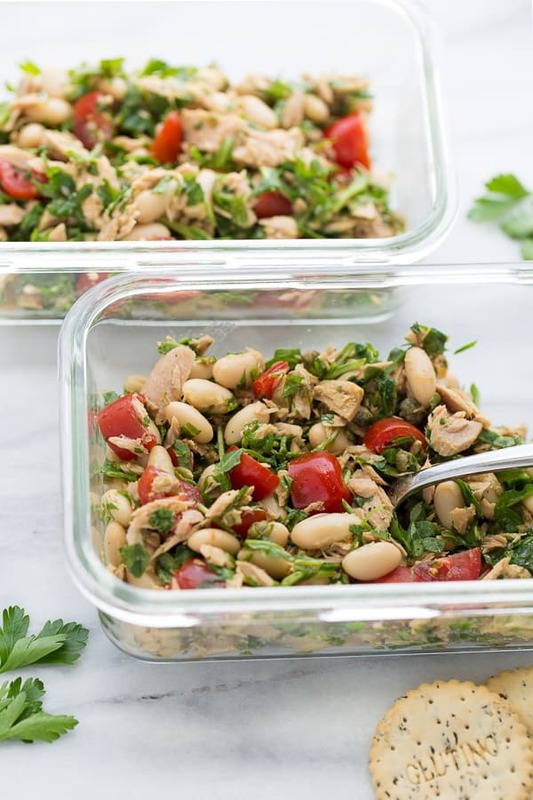 This 5-Minute Italian Tuna Salad makes an easy, healthy, protein-packed meal for days you don’t feel like turning on the stove. 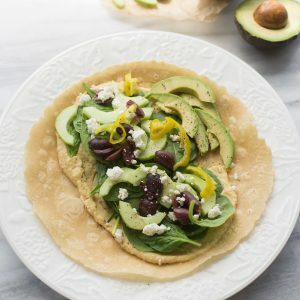 It is full of fresh bright flavors and is nutrition-packed with healthy fats and greens. 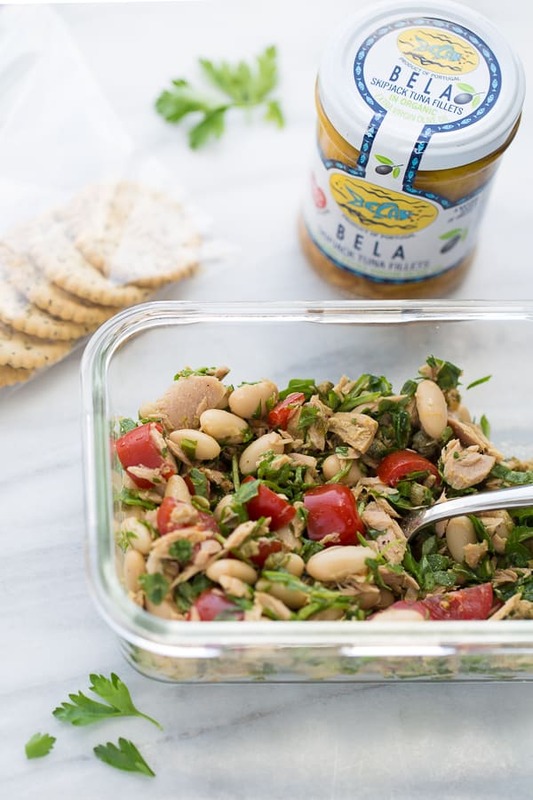 I’ve been loving using BELA Olive-Oil Packed Skipjack Tuna Filets to make this salad. 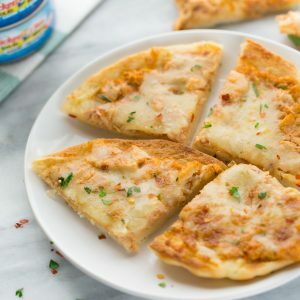 Olive-oil packed tuna has so much flavor! Additionally skipjack tuna is a smaller fish and therefore lower in mercury. Albacore tuna is a larger fish and typically higher in mercury. BELA Skipjack Tuna is also sustainably wild caught and packed fresh within 8 hours of catch which maximizes flavor and quality. I still only eat tuna once a week while I’m pregnant, but feel much better about eating the skipjack variety. 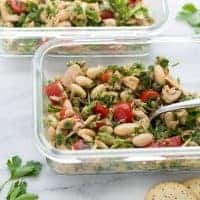 You can make this Italian Tuna Salad and eat it right away or pack it for lunch later in the afternoon. I wouldn’t let it sit more than 4 hours or the greens might get wilted. My favorite green to use in this recipe is arugula because of its peppery flavor, but any green will work! Just chopped the greens up before adding them to the salad. I also love adding white cannellini beans to tuna salad for a contrast in texture. I like packing/serving this salad with some gluten-free crackers. 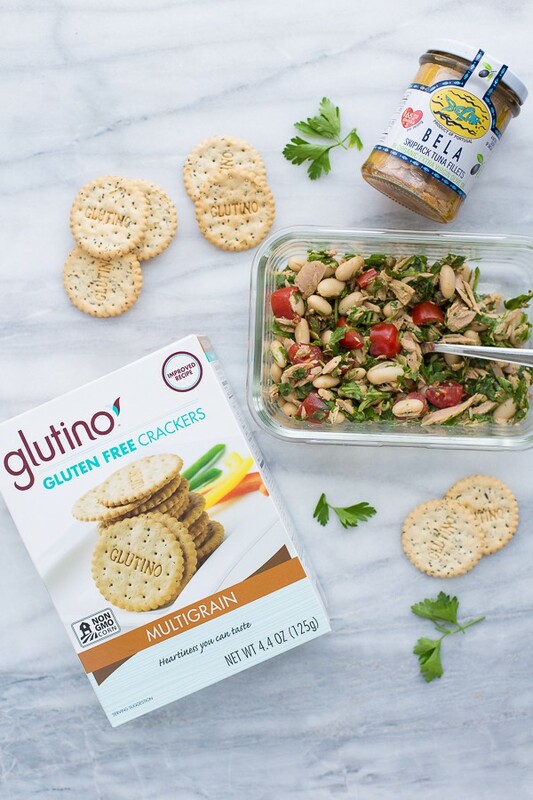 Glutino Multigrain Crackers are perfect paired with this tuna salad because of their crunchy texture and neutral flavor! In a medium bowl, add the dijon mustard, lemon juice, salt, pepper and olive oil. Whisk to combine. Serve immediately or refrigerate for up to 4 hours. Serve with crackers if desired. Enjoy! I’m a huge fan of easy lunches. As a mom, it’s perfect for busy days when I need something healthy and filling.